The Educational Technology Unit at Karolinska Institutet (KI) in Sweden has developed an on-screen simulation software, SvalSim, that simulates field work for problem-oriented learning in petroleum geology. 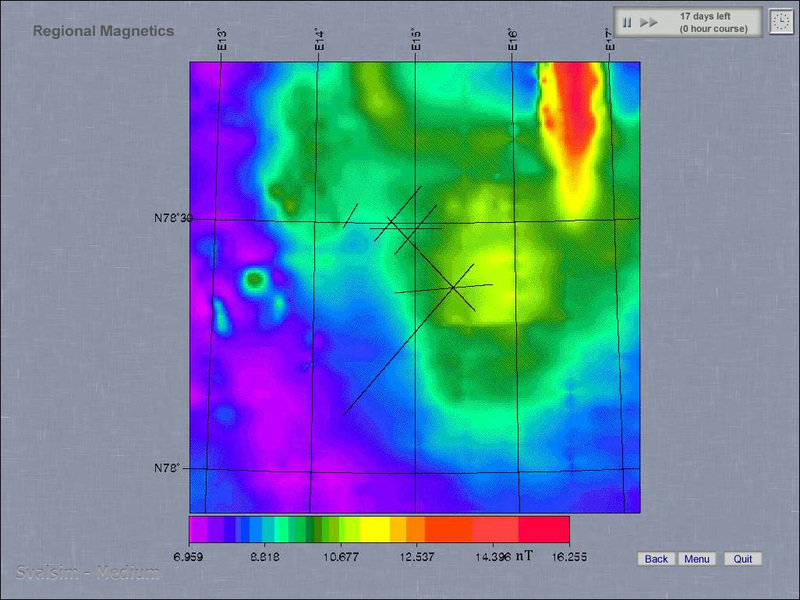 The system is using numerous authentic geological data, takes the time aspect into account and lets users control almost all events resulting in a very realistic simulation. 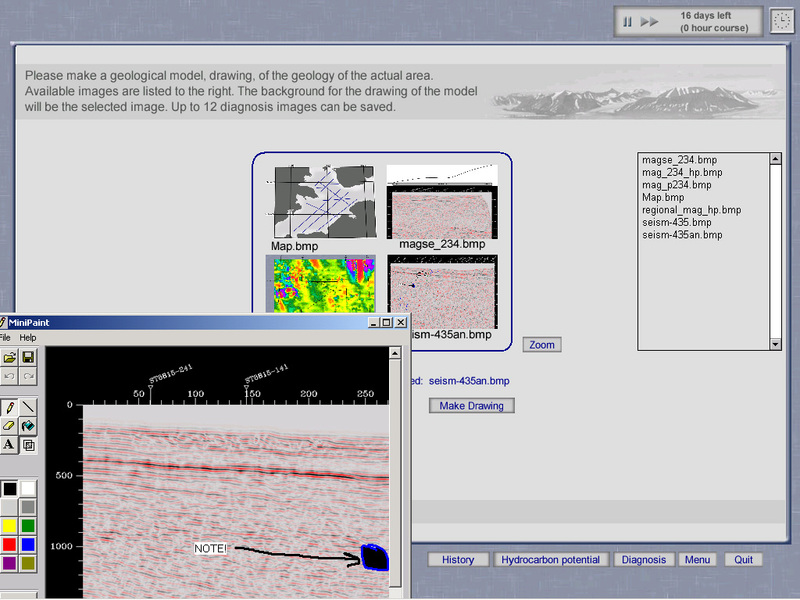 The educational setting for use of the simulation software is general training in geosciences and field courses in Norway e.g., at Svalbard. Training of geologists or geophysicists in exploring the subsurface is generally performed by on-the-job training during busy commercial projects. There are not many opportunities for students to try out different approaches themselves. This project is designed to meet these challenges by involving students in training real life problems with the help of a virtual simulation. One of the conditions for developing the software was that students should be able to use it on an ordinary PC laptop at location on actual field work sites with no or very limited Internet access. As a result, the software was designed to be used on any standard PC running MS-Windows. This adds to the flexibility of use in a number of different course settings. Within the simulation scenario, students are asked to perform an exploration task in a realistic virtual environment. The location chosen is the Medium mountain at Svalbard. Huge amounts of data from the surroundings are available to students to order. The data is authentic and originate from the real location. 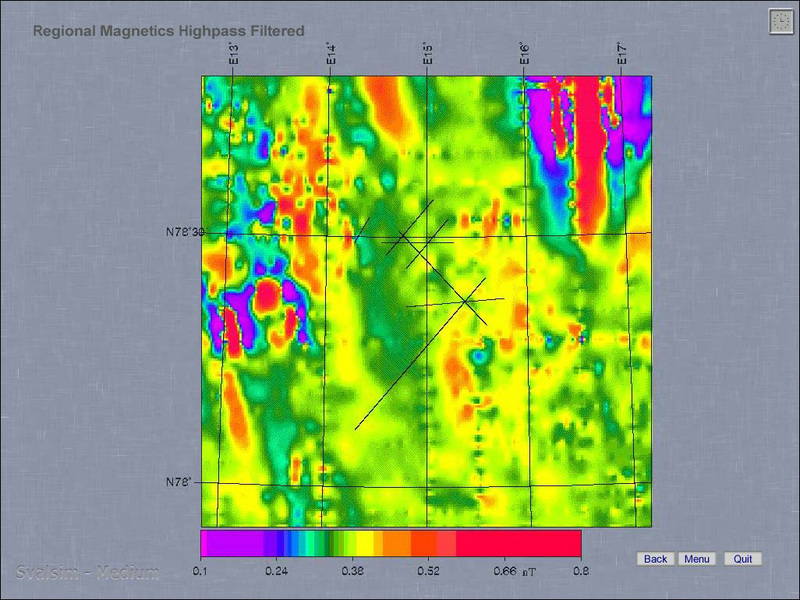 Among them are magnetic measurements, well data, seismic and geological measurements and photographs from the area.The development was made as a collaborative project between our group, Statoil A/S and GeoFrontier A/S in Norway. Statoil and GeoFrontier provided most of the data and geological know-how. Our group developed the system, performed all image processing and also provided most of the educational know-how. SvalSim was selected as winner of The European Academic Software Award 2002.